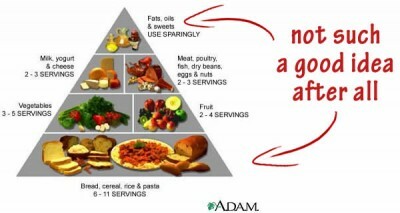 Realize that we are currently experiencing massive DEATHS because of DIETS!!! Diets simply do not work. We currently have more diets than ever before (more people on diets) and we’re still FAT! How to heal your body from the inside causing you to become a natural FAT BURNER! We have actually cut our fat intake as a country by as much as 30%, yet We are still getting more overweight as each year passes. This fact alone should tell you that eating a purely low fat menu is not the answer to losing weight. In the late 1980s, there were two major reports that came out, identifying fat as the most important change needed to be made to improve diet and health. Saturated fats were demonized. 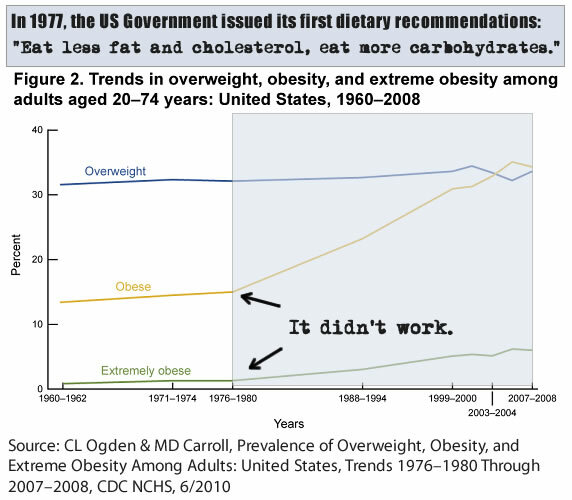 The idea was to reduce all fats from our diet so we could improve heart health and our growing weight problems. But the low fat campaign had some pretty disastrous consequences. … One of the most unfortunate was the idea that if it wasn’t fat, it wouldn’t make you fat. There are even doctors today who still believe that you can’t get fat eating carbohydrates. Actually, farmers have known for thousands of years that you can make animals fat by feeding them grains (carbohydrates), as long as you don’t let them run around too much, and it turns out that applies to humans. We can very easily get fat from eating too many carbohydrates, and the public was really directed to only focus on fat calories, when we really needed to focus on the “type” of calories rather than the amount. SUMMARY: With more fat-free products than ever, we got fatter.